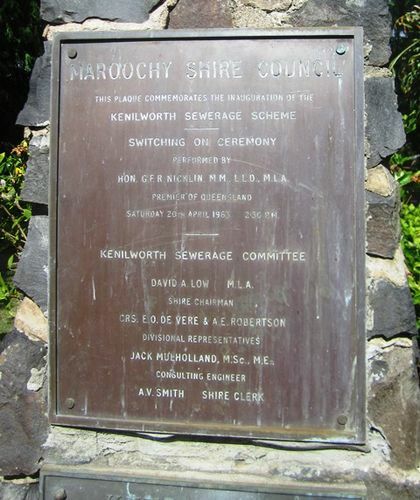 A plaque on the gates at Kenilworth Town Park commemorates the inauguration of the Kenilworth Sewerage Scheme in 1963. Hon. G.F.R. Nicklin, M.M., L.L.D., M.L.A. Saturday 20th April 1963 2.30 p.m.